Your bed is a sacred place. Everyone has a different relationship with their bed, but I can guarantee most of us hate leaving our bed in the morning. It’s just so comfy! If you have animals, you either let them sleep in the bed with you or they’re not allowed on the bed at all. If you don’t want them on the bed, I don’t blame you! It can be a pain washing the sheets constantly because of their fur or whatever they dragged in. If you do let them sleep with you, you can try this incredible hack for cleaning your mattress! For those of you who love your pets and wish they could sleep in your bed, but have been saying no all this time, you’re in for a real treat! 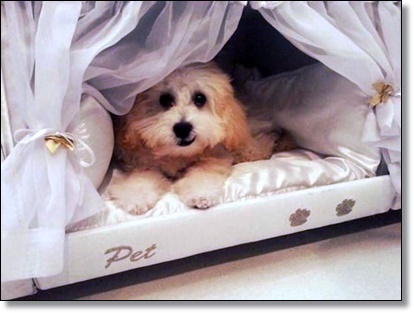 A mattress company has created special beds with a compartment meant just for your pet! 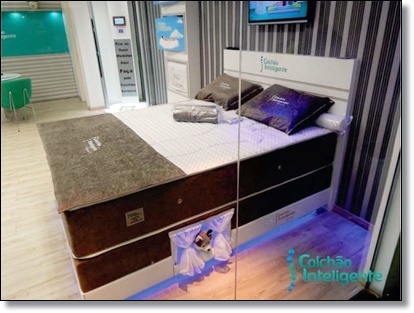 Colchão Inteligente Bento Gonçalves is the Brazilian mattress company behind this genius pet-friendly bed! These special pet beds have a removable box in the base of the bed where the pet can sleep. They even get a curtain! 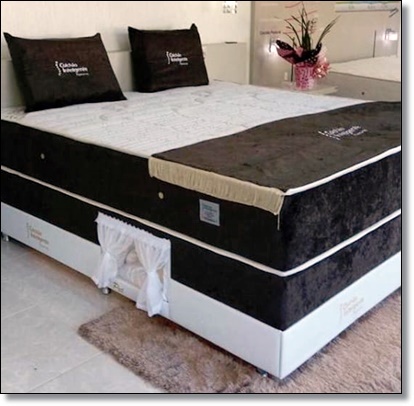 The company’s CEO, Filipe Machado, said that customers can order the bed with whatever size box they want for their pets. The bigger the box, the bigger the bed will need to be. 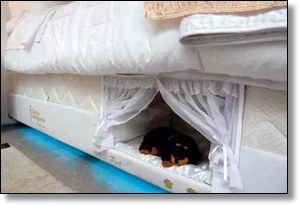 The first bed was made in 2013, after a customer requested a special bed for her pooch with health problems. Buyers don’t have to worry about the special pet bed getting too dirty, as they can remove the box and clean it with a cloth! 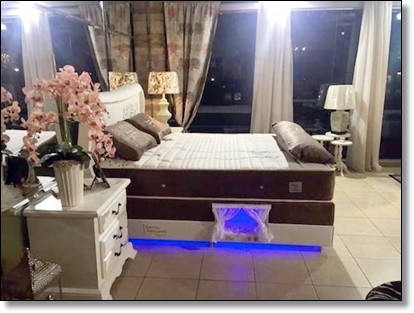 This bed is the perfect solution for animal lovers who want their pets to sleep with them, but either don’t want them hogging the bed or making a mess.